What's So Special About these designer Bean Bags? Bean Bags R Us NewsBean Bag ChairsDid you see Alexander Wang’s designer BeanBags? Did you see Alexander Wang’s designer BeanBags? 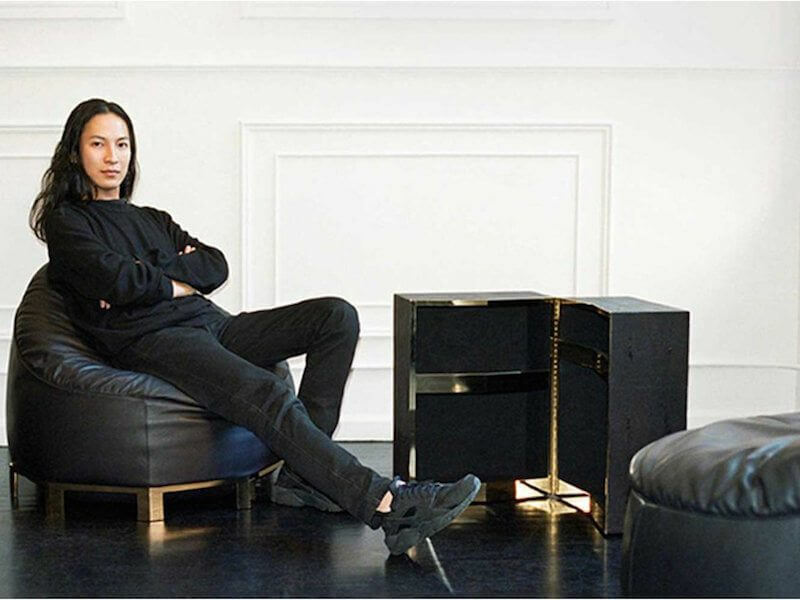 Alexander Wang, the popular American fashion designer, has recently released his very first collection of furniture. And it includes an $8,800 black bean bag chair that looks sleek, stylish and worth every penny he is asking for it. The debut furniture collection from Wang has been eagerly anticipated and came about as a collaboration between the designer and the Italian luxury furniture brand Poltrona Frau. In addition to the two black bean bag chairs that have been garnering keen attention, the three-piece collection includes an $18,800 shagreen bar cabinet that closes on a vertical hinge in the guise of an end table. Shortly after Wang’s new furniture collection was announced, the Wall Street Journal (WSJ) was granted an exclusive interview. The designer was at a photo studio in Brooklyn, New York, shooting his pre-fall fashion collection for 2015 when the finished models for his three-piece line of furniture arrived from Italy. The entire room was in awe, and Wang said he hoped that the chairs and bar cabinet will become instant cult classics that will be remembered for generations. Wang revealed that he had recently become fascinated with exotically finished furniture, and he noted that he was influenced by the work of Milo Baughman and Karl Springer. The interest began during his collaboration with a good friend and accomplished interior decorator Ryan Korban, who helped Wang design his New York apartment and his flagship store on Grand Street in Manhattan. The store features 2,500 square feet of white marble floors, hot-rolled steel accessories and an upscale hammock made of black fox fur. The idea for Wang’s new collection of furniture was conceived two years ago, shortly after he was hired as the creative director of Balenciaga, a renowned fashion design firm headquartered in France. He was asked to succeed the esteemed designer Nicolas Ghesquiere, and it was widely rumored that Wang was named his replacement for having a similar style but with a streetwise edge and a pinch of modern Goth. When Balenciaga hired Wang, the company hoped to open its brand to a wider audience and tone down the elitist approach of his predecessor, and the new furniture collection unquestionably displays this blend of styles. The collection is set to launch in February 2015, but some sources believe it will be delayed until April. 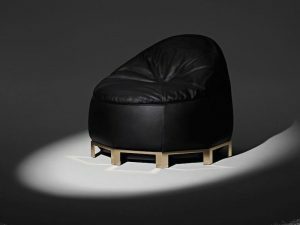 The focus of Wang’s debut furniture line is a black bean bag chair in shearling on a nine-sided brass base with feet on each corner. It is accompanied by a companion bean bag in black leather with a similar base and price tag. The centerpiece of the collection is a sleek, black shagreen table that opens to reveal brass shelves perfect for a small bar. Wang explains that the pieces are his interpretation of luxury as seen through streetwise eyes. Poltrona initially contacted Wang through “a message in a bottle,” according to Piero Valentini, managing director of the company. Development of the furniture took years to accomplish, and four fashion collections for Balenciaga had come and gone before the designs were finally finished. However, Wang says he has remained invested in the project through every step of the way. Poltrona Frau has long relied on fashion designers to fuel the brand’s growth. The company just celebrated its 100-year anniversary in 2014, and it is well known as a leading innovator in the industry. Poltrona has outfitted both offices and showrooms for Hermes, Burberry and Prada, but Wang’s designs are a completely new turn. Bean bags are thought of as rec-room accessories or poolside furniture, and they rarely have if ever, been identified as high-fashion items. These chairs are everyday pieces usually reserved for the middle class, but when common items are redesigned for luxury, the result changes them into something completely new but with the same functionality.